A Q&A with Devoney Looser, also known as “Stone Cold Jane Austen,” followed by a lively discussion on how Austen became so famous and who her fans are today! Just how did Jane Austen become the celebrity author and the inspiration for generations of loyal fans she is today? How did she become one of hottest Hollywood properties 200 years after her birth? How did she build a following long after her death? And why do legions of fans come together to explore her work in literary societies, historical re-enactments, and Facebook fan groups year after year? Devoney Looser’s The Making of Jane Austen uncovers the people, performances, activism, and images that fostered Austen’s early fame, laying the groundwork for the beloved author we think we know today. The Central California region of the Jane Austen Society of North America (JASNA) invites anyone interested in Jane Austen (or literary history or book geekery) to discuss the award-winning non-fiction title The Making of Jane Austen and to talk to the author for a 45-minute Skype chat about the book at our next gathering on Saturday, July 28 from 1 p.m. to 4 p.m. at the Woodward Park Regional Library in Fresno. Don’t miss out on the opportunity to hear Dr. Looser discuss her work and answer questions about her fascinating approach to Austen studies. 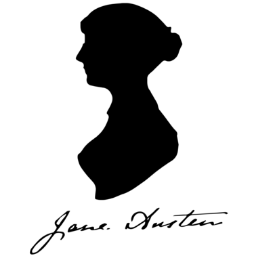 JASNA provides opportunities for those who enjoy classic literature to re-read the works of Austen annually, to discuss them with a wide variety of other fans, and to explore Austen-related non-fiction and other works in a lively and welcoming environment. “Public conversations with avid readers are one the great pleasures of being a Jane Austen scholar. I especially love talking to JASNA (Jane Austen Society of North America) members and Janeites. We get to have all of the fun of a classroom discussion with none of the stress, assignments, or grading. Janeites are some of the best clever, well-informed people, and so welcoming to newcomers. I very much look forward to talking with JASNA Central California,” says Looser. Perfect for life-long learners and as well as those just discovering Austen, JASNA meetings offer insight, further knowledge, and the chance to socialize with other like-minded people. JASNA Central California also schedules various social and cultural events throughout the year. Devoney Looser is Professor of English at Arizona State University and a 2018 Guggenheim Fellow. She is author of The Making of Jane Austen (2017), Women Writers and Old Age in Great Britain, 1750-1850 (2008) and British Women Writers and the Writing of History, 1670-1820 (2000), co-editor of Generations: Academic Feminists in Dialogue (1997) and editor of Jane Austen and Discourses of Feminism (1995).